NCNW San Diego Section received its charter from NCNW Headquarters – Washington D.C. in 2008. Brandy Gros was the 3rd Vice-President at the inception of the Youth Section. 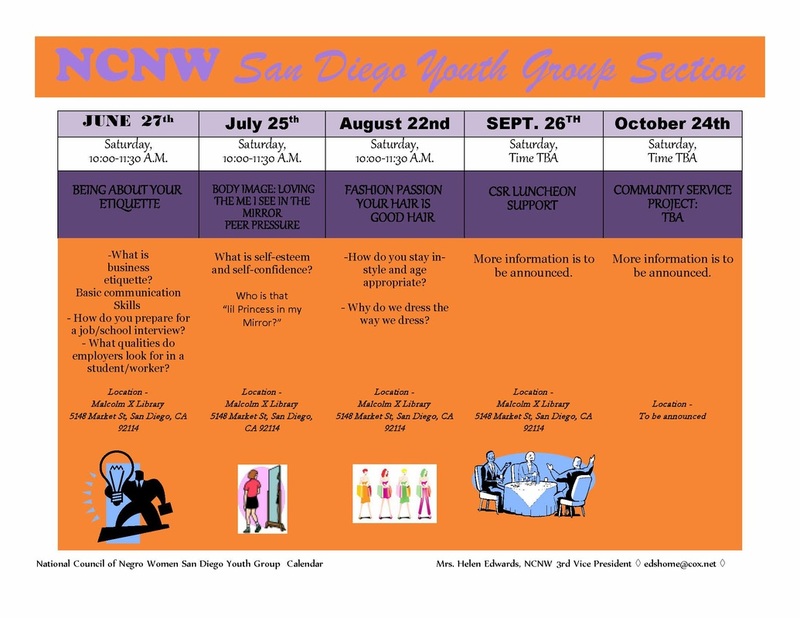 The NCNW San Diego Youth Section main purpose is to provide meaningful programs, mentorship by empowering and strengthening our young ladies to pursue their dreams. 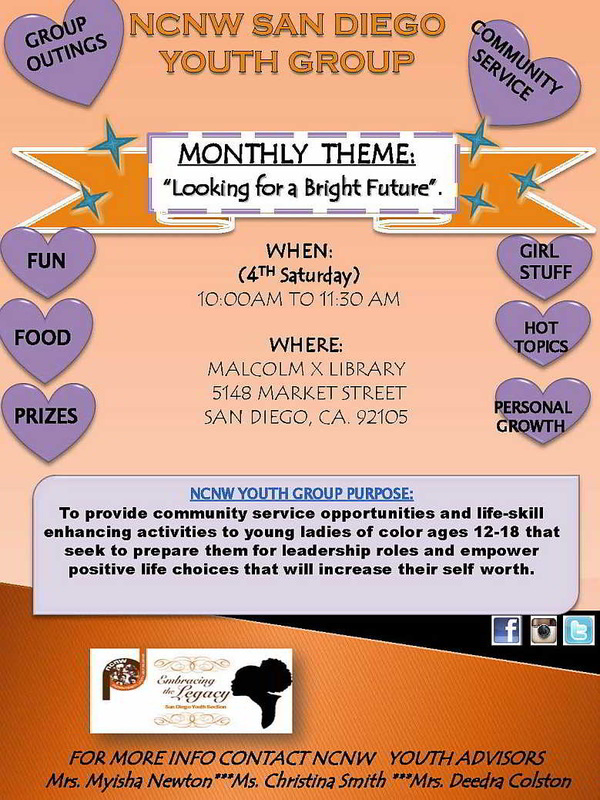 We encourage these young ladies (ages 12-18) to have a positive and supportive role model.